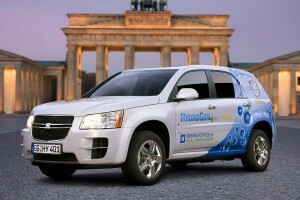 Berlin Brandenburg Airport has taken possession of Opel’s HydroGen4 fuel cell demonstration vehicle, expanding the company’s market trial with fuel cell vehicles. 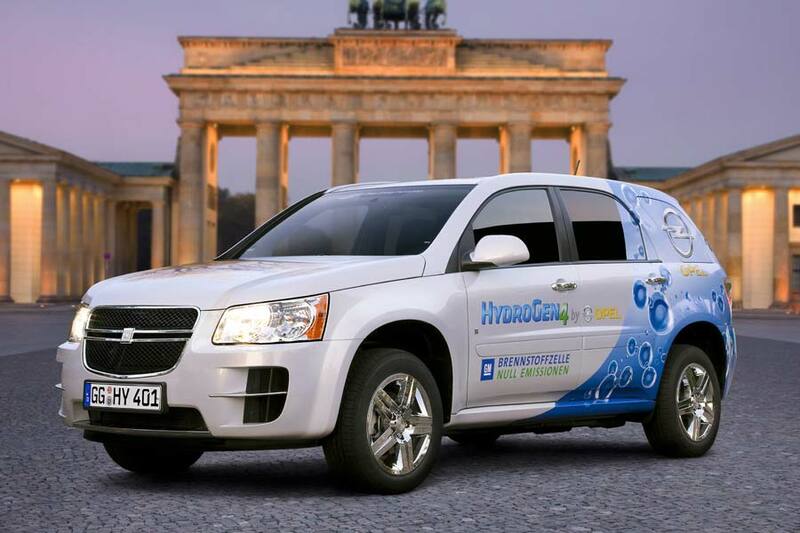 Power comes from a fuel cell stack which features 440 series-connected cells and, rather than relying on combustion, an electro-chemical reaction occurs when the hydrogen reacts with oxygen, which produces the electricity supply to drive the electric engine. Output is 73 kW (100 hp); enough to carry the HydroGen4 to 100 km/h (62 mph) in twelve seconds and on to a top speed of 160 km/h (99 mph). The carbon fibre composite tank hold 4.2 kg of hydrogen – enough to provide a range of 320 kilometres (198 miles). “We fully intend to develop the new Berlin Brandenburg Airport into the most modern airport in Europe with a leadership role in environmental and resources protection. 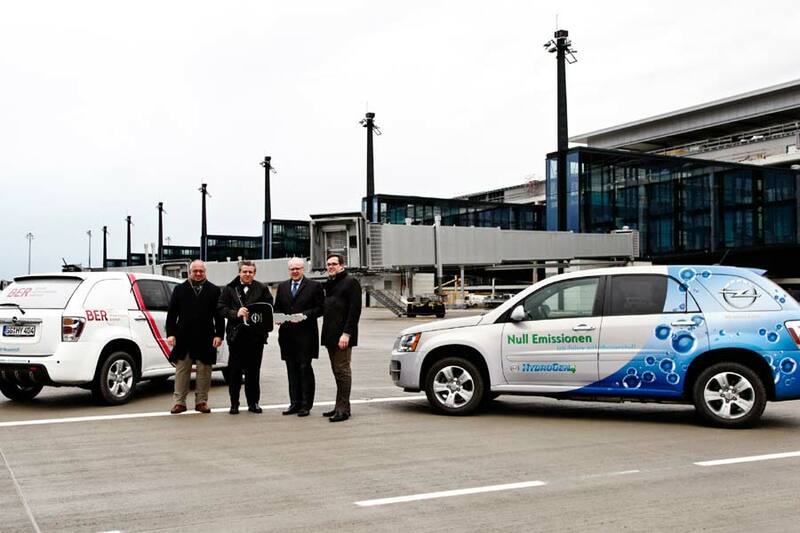 Of course the same is true for the use of alternative propulsion in the airport vehicle fleet.” said BBI general manager Dr Manfred A. Körtgen.